When it comes to the reliability and usefulness then without the shadow of doubt Google Chrome Extensions stands distinguish and out-class. There are so many useful chrome extensions best for our everyday use and It’s not merely said by few people rather according to Stat Counter Google Chrome is most widely used web-browser throughout the world. It gives its user an excellent fast performance including clean interface. Moreover it promises to provide its users a handy syncing with mobile devices. We have also gathered a list of most useful websites that you should definitely check. Pixlrtab is fabulous in a way that every time you open a new tab you will be shown beautiful new images. On the search bar you can search whatever you want and you will also be given an option of “stock Photos”. Finding the coupons are real hectic things with all its tiny details it turns into a real mental mush. But the good news is that this chrome add-on honey and automatically hunts and assesses the coupon codes for almost hundreds of online store in the US, Canada and UK. When you are done with your shopping then on check out you need to hit the button of Find Savings for having HONEY track down and try to apply coupon codes. This extension allows you to enjoy your video on chrome with the atmospheric lighting, in simple words you will be given a liberty to set it up in a way that it will automatically lower down the brightness of your window background while using YouTube or any other video from any other site. By customizing the add-on you can spice up more by setting custom colors etc. With the help of video stream you will be able to stream videos by your computer directly to your Android TV or at chrome cast, the icing on the cake is all the messy process of media server software will be at bay. It will be equipped by the subtitles too. Video stream is eligible video player for a browser extension. It is said to be the neat extension as it uses the text-to-speech technology that reads the selected onscreen text to you along with language auto detection. After selecting the text you want to read just click the button and Speakit will read out it for you. There are more technology related tricks and tutorials you can check here. It is an awesome productivity tool, workplace productivity tool indeed. The users now can clip either a part of web or all for the handy reference and editing in “OneNote”, it is synced through your devices. Moreover trim the ads , adjust fonts, highlight the text with this tool. If you are running short of time or you have another fish to fry then instappaper allows you to save the website for going through it later. Just by going to Insta Papper account you can read it later whenever you want. Moreover you can access it from any device. If you are the one who feels uncomfortable in the presence of any one while using any site then congratulations to you as your problem is solved now. This extension allows you to hide all your open tabs instantly by just a single click. Not only it hides those tabs rather it also saves all your opening tabs again with the single click. It has a tracking method and this helps you out in detecting web trackers, then it blocks those trackers and keep them at bay from all your movements across the internet. 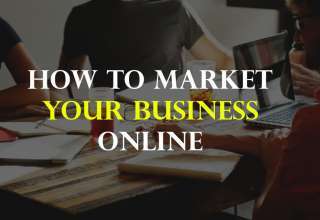 If you want to have some deep information about any website or about any company that it can make you look all this with the help of same tracking methods. You can the reliability, privacy and child safety by the help of Web of Trust, it tends to show all of this by the color-coded symbols. You can have an internet security that will guard you against malware. By this extension you will be able to know the ranking of any website, moreover how much traffic it has. So by Alexa it would be easier for everyone to know the usefulness and worth of any site. Clearcache assists you in removing your History; you will be able to erase the browsing data by just a single click. There will be an icon of delete and you will be asked to delete it. with the help of this extension you can clear your history , browsing data with just single click. By going into the setting. Just hit on the icon of delete. With the help of this extension users can easily view the contents of mail inboxes. Besides that you can queue them for delivery for the time of internet’s connection. It is an amazing one for reading ebooks, whether you have something little or a lengthy article to read. It allows you to send the whole articles including text snippets and any other wen content direct to your Kindle account. Nothing will be tangled there as it will be clean and totally reader-friendly format. You will be given a freedom to read it from a kindle reader. Onetab wraps up all the open tabs into a single tab page along with the web pages you just had opened. You will be facilitated to get rid of all the tabs from the browsers and yet you will be allowed to go back to them for a handy reference just after that. You can restore all the tabs at once or you can open a single. It is an out-standing additional function in Gmail’s basic functions. It tends to allow its users to have a schedule message sending, a setup of recurring email messages, moreover for postponing the emails. When we talk about the most popular ad blockers online then the name of Ad Block Plus comes at the top of the list. It has a rapid setup+ loading predetermined filter lists that facilitates and permits users to instantly block most ads. It also provides you a chance to sift and clean malware and social media buttons. It will let you enjoy by presenting a non-intrusive advertising that is a great blessing because unwanted ads really annoy you a lot. Hover zoom as its name shows is something that permits you to have a larger view of a picture by just hovering over a thumbnail. On whatever picture you hover over it will zoom in the picture for you. It also allows you to navigate by image gallery without any hitches. In case there is a large image then it will automatically be resized so it can scale well to your screen. With the help of a google translate toolbar button you will be able to have translation of the whole page. If a site uses a different language then it will be detected automatically by the extension. Then it asks you to translate it automatically. Moreover translate the extract of any text handily and if you are interested in listening the accurate pronunciation of the words/phrases that have been translated then it can also do this for you. This extension is best for people who are running their own youtube channel, it is used for video optimization and youtube channel management. If you are running a youtube channel your should also check Youtube channel art guide. To wrap it up being a user you can surely cherish by various means as all these most useful and best chrome extensions mentioned above are purely free to download. So embrace the ones that suits you most and that tickles your fancy.